The Weddell Sea might be described as the Antarctic extension of the South Atlantic Ocean. Near the southern extreme of the Weddell Sea in 77° south latitude Shackleton’s ship Endurance, under my command, was beset in heavy pack ice. The temperature in February fell to 53° of frost — an unusually cold snap for the southern summer of 1914-15. The pack ice froze into a solid mass. We were unable to free the ship and she drifted northwest, 1,000 miles during the summer, autumn, and winter. The Endurance was crushed, and sank in 69° S.
Our party of twenty-eight — eleven scientists and seventeen seamen — camped on the floes in lightweight tents through which the sun and moon shone and the blizzards chilled us. Our main food supply consisted of seals and penguins. So the ice, with its human freight, crept northwards — 600 miles in five months. These are the dramatic opening words of Frank Worsley’s gripping adventure story, hardly hinted at by his book’s unassuming title, Shackleton’s Boat Journey. 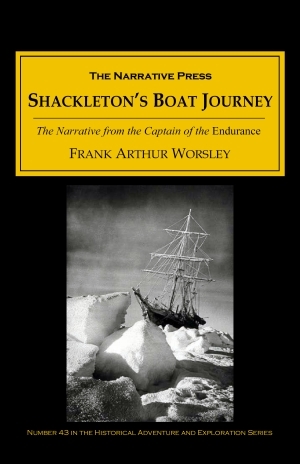 Worsley was the captain of the Endurance, and the matter-of-fact tone that pervades this book serves to heighten rather than diminish the astounding accomplishments of Ernest Shackleton and his crew, who were attempting an Antarctic Expedition. The nor’west swell rolled our ice floe to and fro, rocking us gently to sleep. Slowly the floe swung round until it was end on to the swell. The watchmen, discussing the respective merits of seal brains and livers, ignored this challenge of the swell. At 11 P.M. a larger undulation rolled beneath, lifting the floe and cracking it across under the seamen’s tent. We heard a shout, and rushing out found their tent was tearing in halves — one half on our side and half on the other side of the crack. In spite of the darkness, Sir Ernest, by some instinct, knew the right spot to go to. He found Holness — like a full-grown Moses — in his bag in the sea. Sir Ernest leaned over, seized the bag and, with one mighty effort, hove man and bag up on to the ice. Next second the halves of the floe swung together in the hollow of the swell with a thousand-ton blow. The first part of Worsley’s book chronicles the final push to the nearest land, Elephant Island, situated in the Antarctic Archipelago that reaches out into the South Sea. Shackleton then made the decision to take five men with him in one of the boats and try for South Georgia Island, a journey of over 800 miles of open sea. Worsley was chosen for his navigational skills. 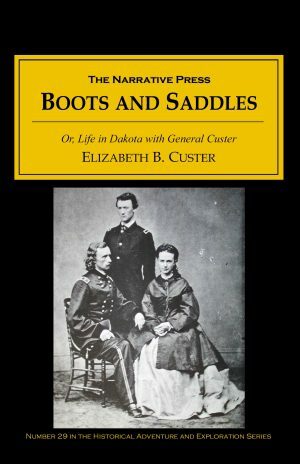 The latter part of the book describes their sixteen days at sea and arrival at the uninhabited side of the island. Shackleton, Worsley and Crean were forced to make a further push inland over dangerous mountainous terrain in order to reach help. What enabled the men to persevere? Not just the incredible courage, humor, and dedication to one another that they displayed, but also an innate sense of how decent men behave. 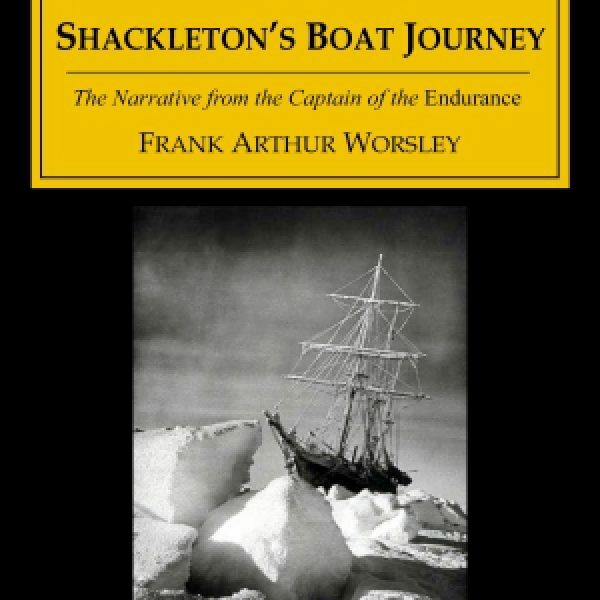 To get the entire picture of Worsley’s character, however, you have to read Shackleton’s account of the adventure in South (available from The Narrative Press); Worsley is too modest to put himself forward. This is an exceptional story.